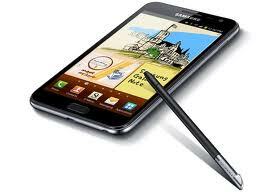 Samsung Galaxy Note is newly Launched device having features of both Smartphone and Tablet. Samsung Galaxy Note run on latest Android 2.3 (Gingerbread) Operating System and powered by 1.4 GHz Dual Core Processor.It support GSM and 4G connectivity having 5.3 inch super Amoled capacitive touchscreen with 1280 x 800 pixel. Samsung Galaxy Note is having 8MP primary camera with HD Video recording and 2MP front camera for video chatting. Social Connect and Apps:- There are Lot’s of Handy Tools on Samsung Galaxy Note to keep you connected with your friends such as Gtalk, Google Search, Facebook, Twitter, Picasa, Youtube and Much more.